This year, a new presence looms over Medford. 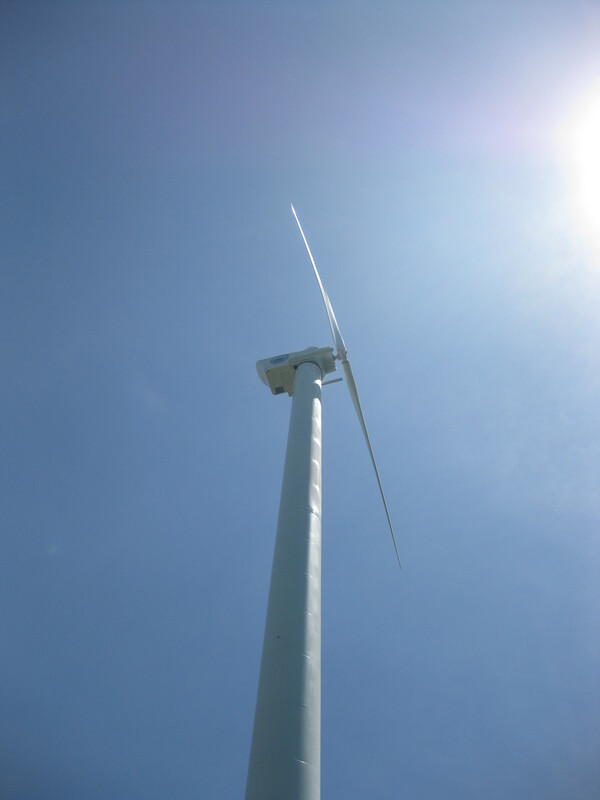 In January, Medford installed a Northern Power Systems Northwind 100 turbine on the McGlynn School grounds. It looks cool. 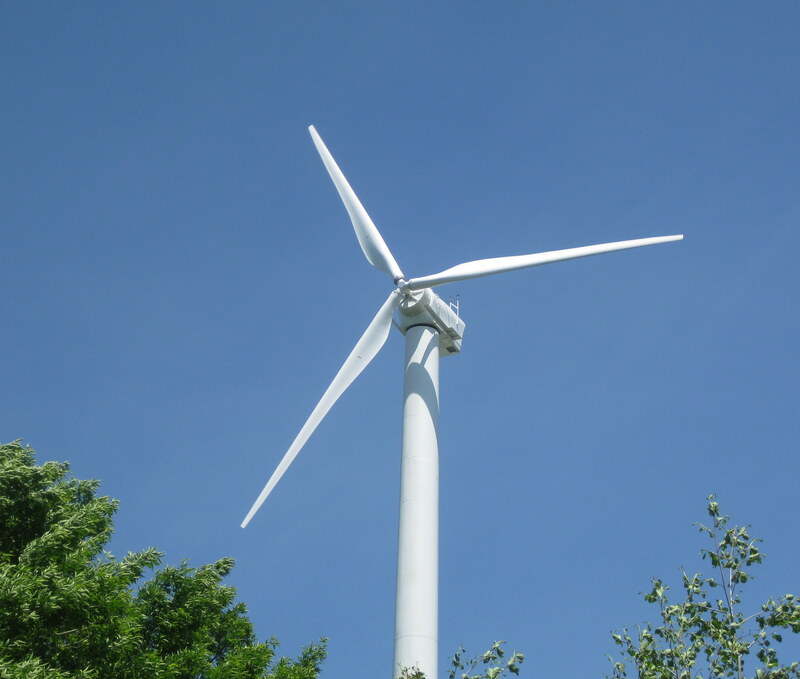 According to the Medford Clean Energy Committee, the turbine supplies about 10% of the school’s electrical needs, saving about $25,000 per year. 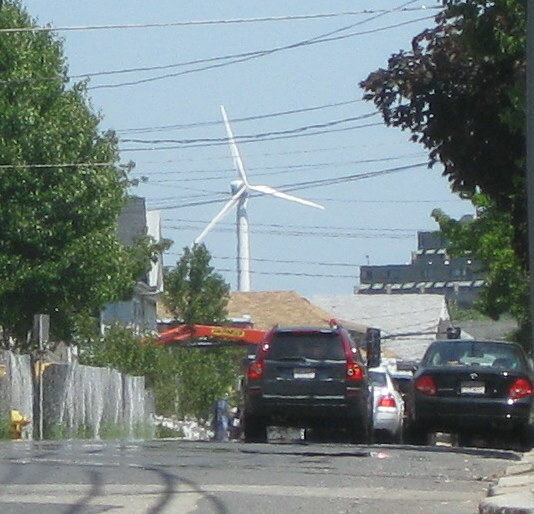 Medford’s portion of the cost of erecting the turbine will be recovered in about 7-8 years. However, the energy committee site also lists $550,000 in other funding, plus ongoing matching grants (perhaps to help cover expenses), so the true time to recover the cost is more like 30 years. Since Northern Power claims the Northwind 100 has a 20 year lifecycle, it’s not clear that the device makes sense on purely financial basis. On the other hand, energy costs are likely to continue to escalate, so the rate of return will probably increase. There are benefits in helping green power efforts get off the ground, and we all win when we make more use of clean energy. Also, there could be educational benefits from Northern’s Wind for Schools package. And it’s pretty.